Thanks to Tennessee’s karst topography, the state has plenty of spots for cave exploration. In fact, 20% of the United States’ caves are found in the Volunteer State! 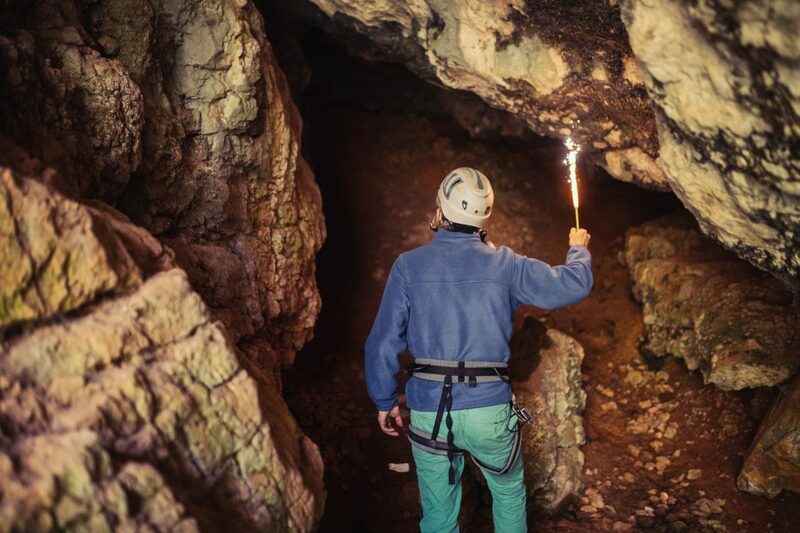 Fortunately, many of these natural wonders are open to the public, giving amateur spelunkers the chance to explore a unique underground ecosystem. Here are some of the best places to explore caves in Tennessee. Located in Sweetwater, the Lost Sea is much more than a cave — it’s a massive underground lake. At 13 acres, it’s the largest lake of its kind in the United States. Visitors tour the lake via a glass-bottom boat that offers a clear glimpse of the cave’s animal life. A 3/4-mile walking path takes visitors past crystalline formations called anthodites, which are found in only a few places on earth. Consistently ranked one of the best caves in Tennessee, Raccoon Mountain near Chattanooga gives spelunkers two exploring options. During a 45-minute walking tour, a guide presents the cave’s history as well as educational lessons about stalactites, stalagmites and other cave formations. For the more adventurous, Raccoon Mountain’s “wild cave” expeditions let visitors get down and dirty by crawling, climbing, twisting and turning through the cave. While not the most physically spectacular cave in Tennessee, the Bell Witch Cave has perhaps the most storied legend. Found in the tiny town of Adams near Clarksville, the Bell Witch Cave is said to be the place where a supernatural force haunted members of the Bell family in the 1810s. Listed on the National Registry of Historic Places by the U.S. Department of the Interior, the small cave on the Bell farm is opened for guided tours during the summer months. Ever wondered what it would be like to sleep inside a cave? Worley’s Cave in Bluff City near Bristol offers visitors the chance to do just that. This cave isn’t commercial — there are no handrails, paved trails or lights. Guided tours are offered for individuals and groups, though. You will get dirty, but you’ll learn a lot during your adventure! Inside Cedars of Lebanon State Park is Jackson Cave where you can explore an underground river that ends in a large, deep pool of water called a sump. You’ll also find a small but impressive waterfall inside the cave. There are no guided tours, so it’s a good idea to inform a park ranger if you plan to go caving here. Like many caves in Tennessee, Cumberland Caverns offers daytime hikes and even overnight adventures. But it’s probably the only one that offers live concerts. Along with 32 miles of trails to explore, the cave system in McMinnville is home to the Volcano Room, a natural amphitheater with superb acoustics. That’s why Bluegrass Underground stages concerts here each year featuring a number of artists. With more than 10,000 documented caves, Tennessee has numerous spots for underground fun. These are just a few of the thrilling places to discover what lies beneath the surface.